Let's shop your workers compensation with Patriot National Insurance Group. See if You Qualify for a Better Price on Coverage With PNIG. Patriot National Insurance Group is an out-of-the-box insurance company that takes a creative approach to underwriting various workers compensation insurance programs including standard first dollar coverage, retro and deductible options, and captive insurance programs. PNIG is an industry leader for insuring healthcare-related risks, including assisted living and home health care. They also offer low rates for bars, pubs, artisan contractors and many other class codes. 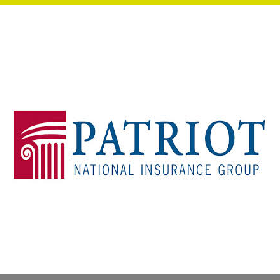 Patriot National focuses its expertise on insurance underwriting. Part of the key to their success is that they take a fresh look at every risk to determine whether or not it can be profitable. With this unique approach, Patriot is more willing to consider employers who are "outside the box" or may have had some atypical claims. PNIG is currently the best market for most home health, nursing home, and assisted living facilities. We've been working with Patriot National Insurance Group since they started in 2003 and are currently one of their largest agencies in the United States. We helped develop Pay As You Go workers compensation with Patriot Underwriters and we're still the leading market source for this program. Patriot National's approach to claims management really helps separate them from other insurance companies. They utilize a strategy known as SWARM, whereas 5 separate departments including Adjusters, Case Managers, Legal staff, Subrogation, and Special Investigations are notified immediately regarding any insurance claims. This aggressive strategy helps Patriot close more claims per year than the industry standard. Patriot National and our agency were among the very first Pay As You Go Programs available in the U.S. We first developed our program in 2004 and began offering it to payroll service providers. Today, we are still the market leader for Pay As You Go coverage alongside Patriot. Our PayGo programs are available for employers, agents and payroll companies. Start a free quote and see if you qualify for Pay As You Go insurance with Patriot National Insurance Group. Patriot National programs are available in all states except AK, HI, OH, ND, WA, and WY. Patriot National has become a major player in captive insurance programs. With their own captive management company and low premium requirements, Patriot has made it more affordable and desirable than ever to consider captive arrangements for premiums over $750M annually. Shop your work comp with PNIG. At Workers Compensation Shop.com, we work with Patriot National Insurance Group Insurance Company because, like our agency, they are a creative insurance company with a high desire to help business owners succeed and they are always looking for new programs and markets to help. Get started online with insurance quotes from Patriot National Insurance Group and some of our other insurance partners. Or call us today at 888-611-7467 to see if one of our WC Specialists can help save your business money on insurance.